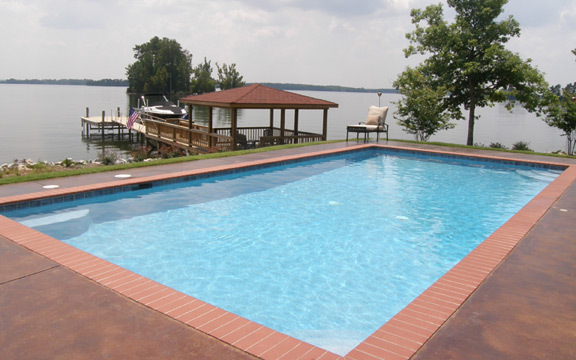 This rectangular gunite swimming pool is located on Lake Murray in Columbia, SC. It is 32’x16′ and holds approximately 14,000 gallons of water. 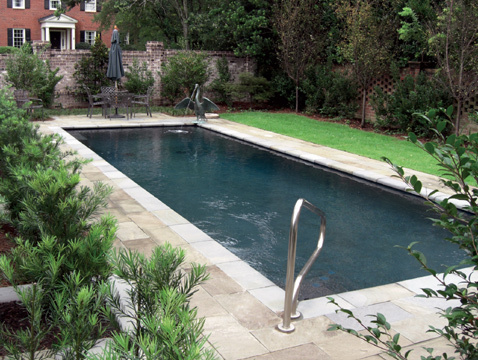 The coping is Plantation Red by Marian Ceramics and the tile is Verona Tondela Blue by National Pool Tile. The plaster is white Marblite with white grout. The deck is stained concrete. Reference P-1.